Defrost edamame in microwave or toast in skillet and allow to cool completely. 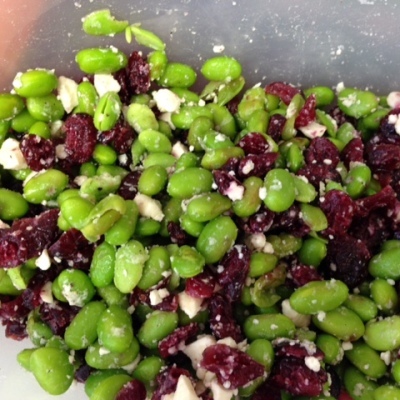 Toss edamame and cranberries together with olive oil and pepper until combined. Gently stir in the feta cheese.